Back in Oslo Airport, I went to handle the tax refund for the stuff I purchased in Oslo as Norway is not part of European Union even if it is part of the Schengen area. 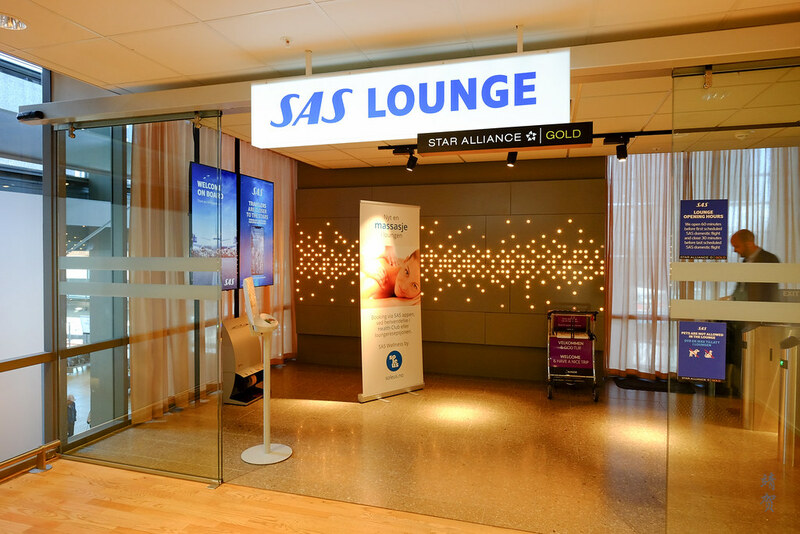 Flights on Austrian is again handled by SAS and after obtaining the boarding passes for the next flight, we proceeded to the domestic lounge operated by SAS since it is the nicer lounge. 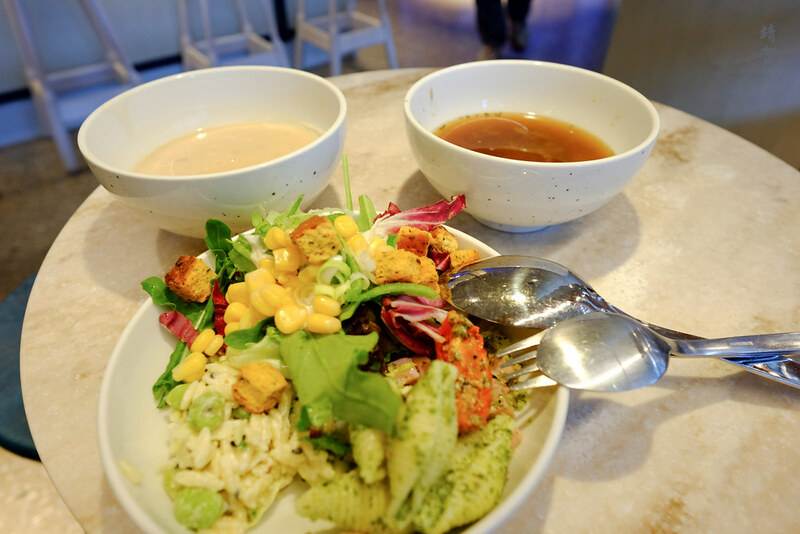 Again, my fiancee was impressed by the SAS Lounge since the salad and soup they had for lunch did fill us up quite nicely and the whole space was more comfortable since my last visit as they had less crowds. I was even able to have a shower in the lounge before heading for the next flight. 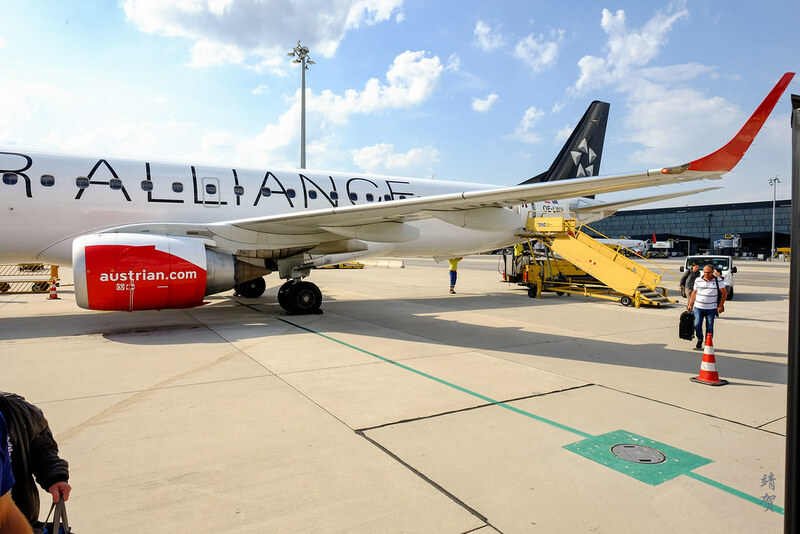 Boarding started around 1:35pm and the Embraer taking us to Vienna features the Star Alliance livery. An orderly queue with priority boarding enforced meant there was no wait on the jetbridge as we were amongst the first to enter the plane. That gave me all the time I needed to take some photos since it was a gorgeous summer day that brightened up the plane’s exterior! 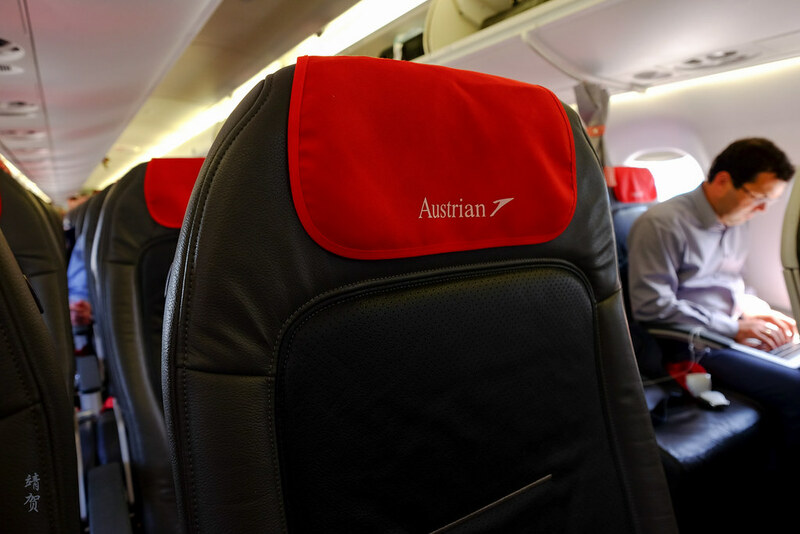 Austrian has black leather upholstered seats in a 2-2 configuration, which is standard in an Embraer jet. 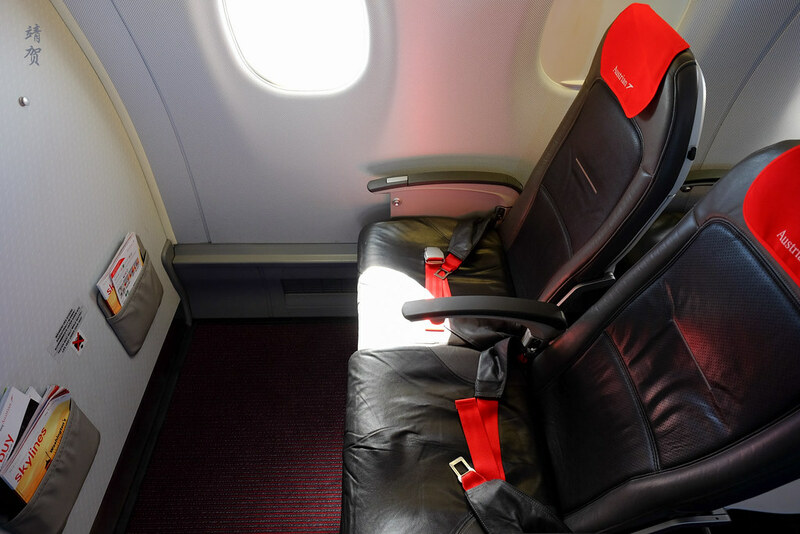 Due to this arrangement, the seat next to you is blocked in Business Class, with the rest of the seat remaining the same as the one in the back. No service during boarding and there are no bottled water on the seats either for passengers in the Business Class cabin, so that meant there was little to occupy premium guests except to look out of the window. 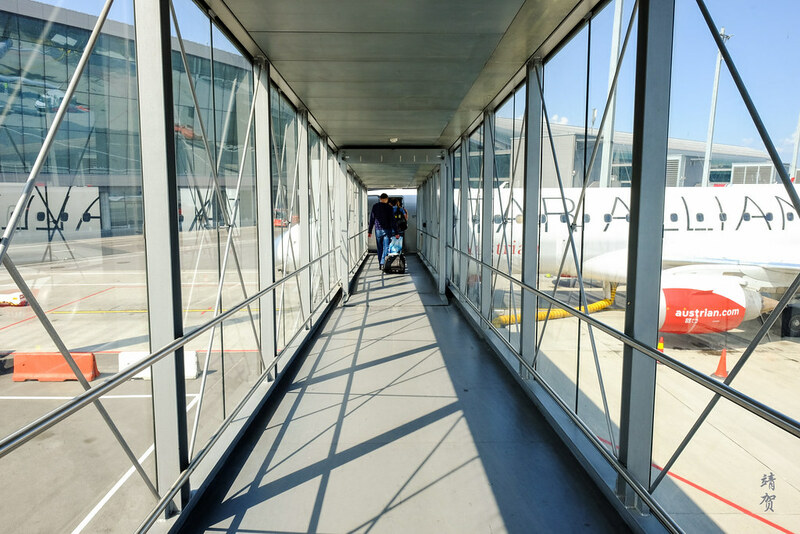 By around 1:49pm, the boarding was completed and the doors to the cabin was closed. Ended up with only 3 passengers in the front cabin while economy class is quite packed with close to full occupancy. I had originally a window seat on the second row, since the first row window seats (1A) was blocked when I picked my seat arrangement. In the end both bulkhead seats were empty when we pulled back. 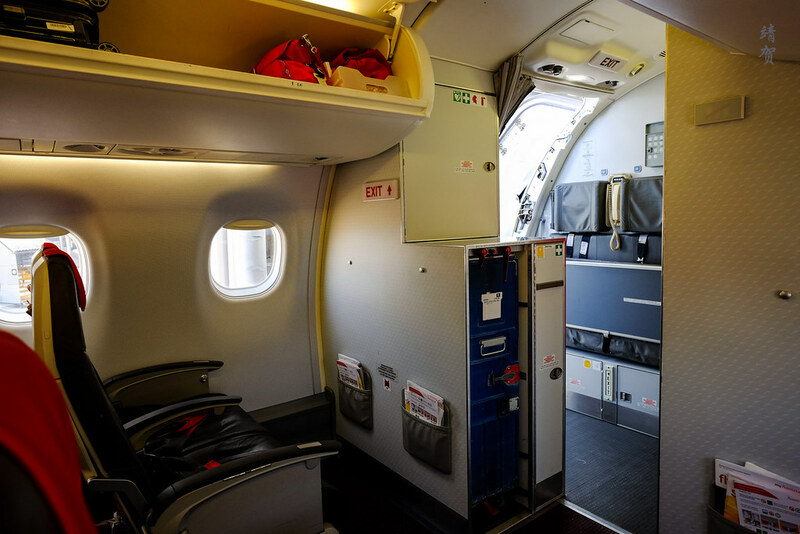 Bulkhead seats on the ‘F’ sides or starboard side of the aircraft have slightly more legroom as the galley partition is slightly further to the front so they are preferable. 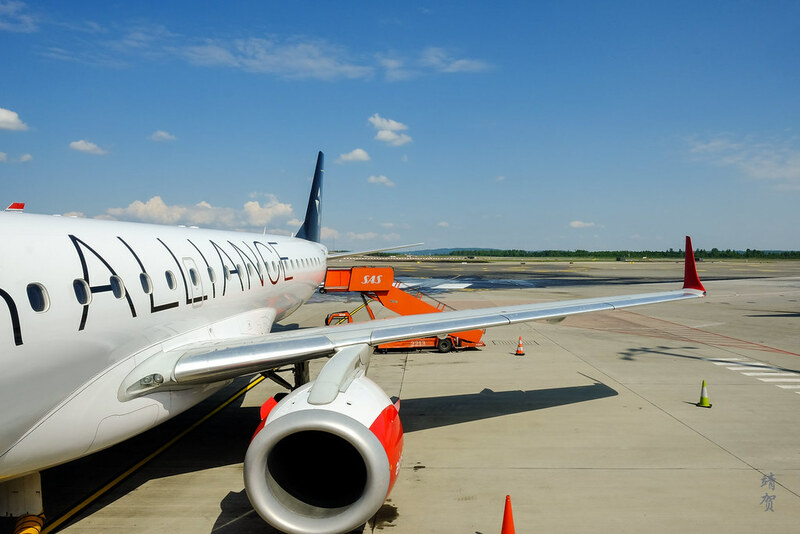 Seats onboard the plane have no personal monitors and even though this flight is blocked at more than 2 hours, there are no inflight entertainment whatsoever. 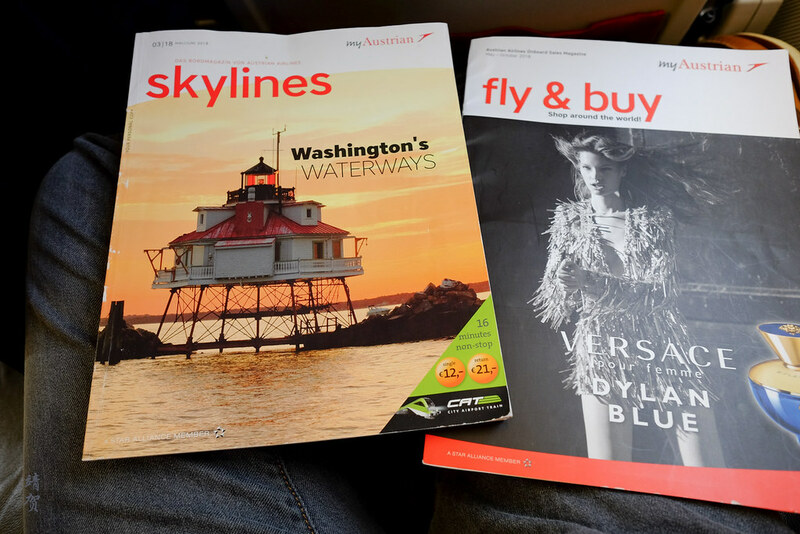 Maybe passengers should just bring a book or load videos on their mobile phones or iPad, since their magazine onboard was simple and not as engaging. 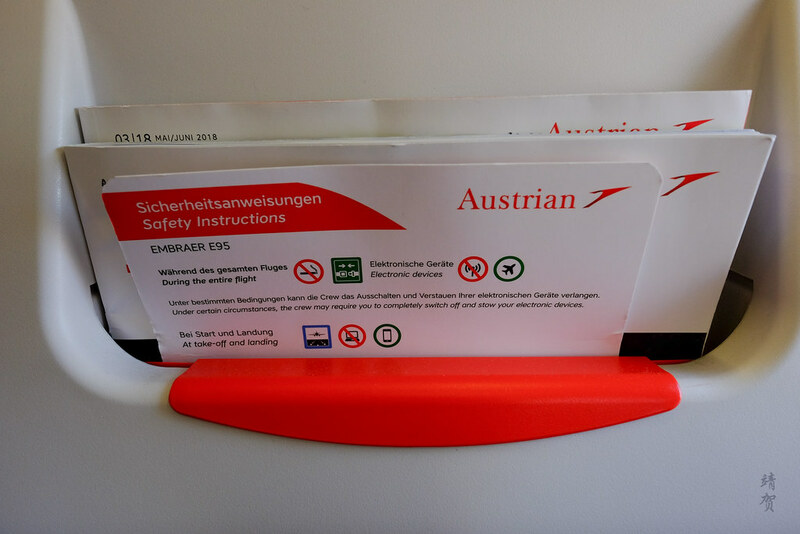 Aside from the headrest cover with the Austrian logo, the seat was basic and is the slimline version which means little padding. While these seats are fine for short flights, I would not want to be on them for flights more than 3 hours long. Safety briefing was done prior to pullback with the crew demonstrating it manually since there was no onboard monitors. After that the plane had a direct taxi to the end of the runway with no queue and we took off as scheduled. Beautiful spring time sunshine with little clouds provided a beautiful view on our ascent and that meant my camera was out taking photos of the airport and its surroundings. Lunch was served immediately after take off. On the tray was a bowl of Kaiserschmarrn, a sweet sponge cake with bite sized pieces of plum. The main was some speck, vegetables and a ramekin of poached plum. 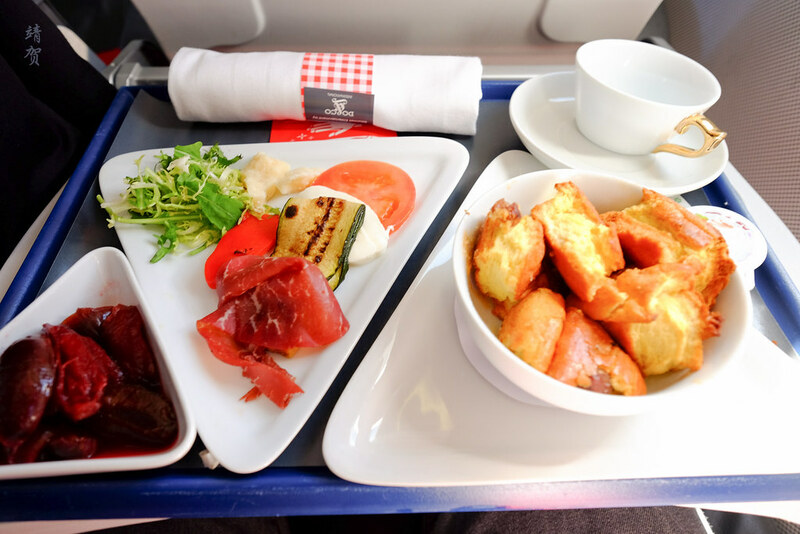 This was definitely a filling meal onboard the flight and I particularly enjoyed the Kaiserschmarrn and appreciated that the airline catered an Austrian specialty dish. 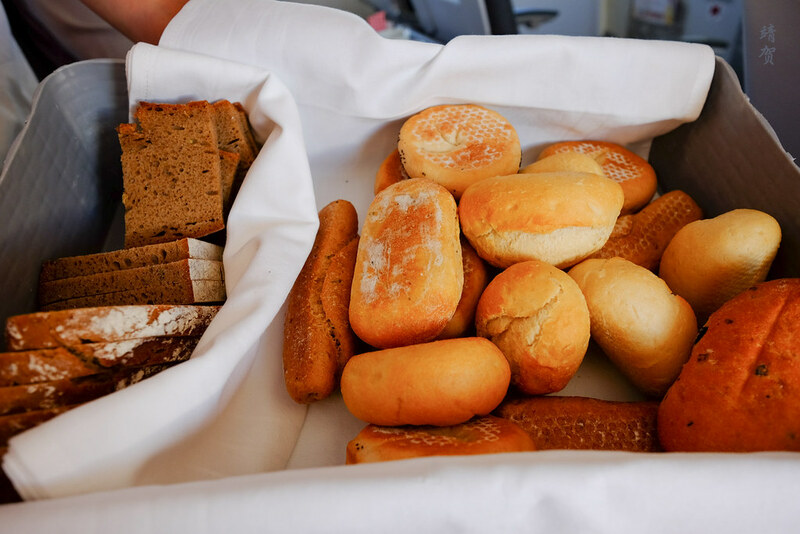 Bread was offered from the basket and drink orders taken. I asked for an apple juice for my beverage. 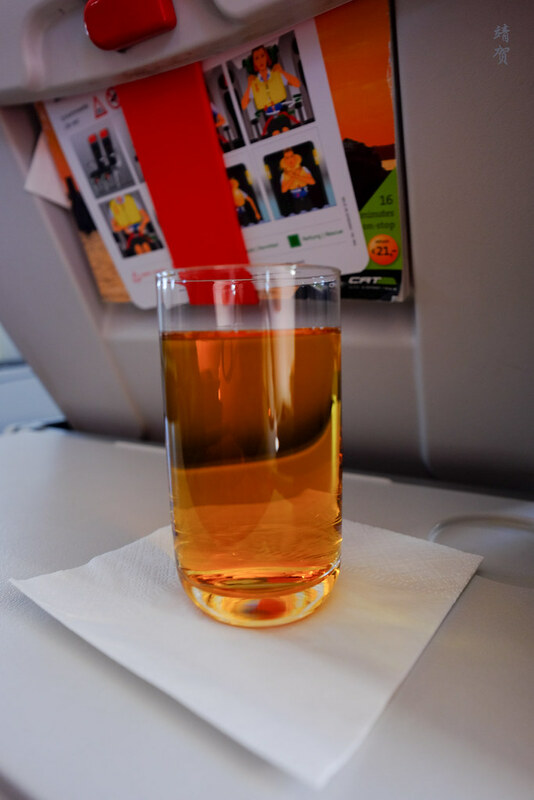 After everyone got their drinks, coffee or tea was offered in the cabin and sugar and milk comes with the service. Duty free sales started after the meal tray was cleared with the crew going around the cabin. After all there was still some time to spare after the meal service. 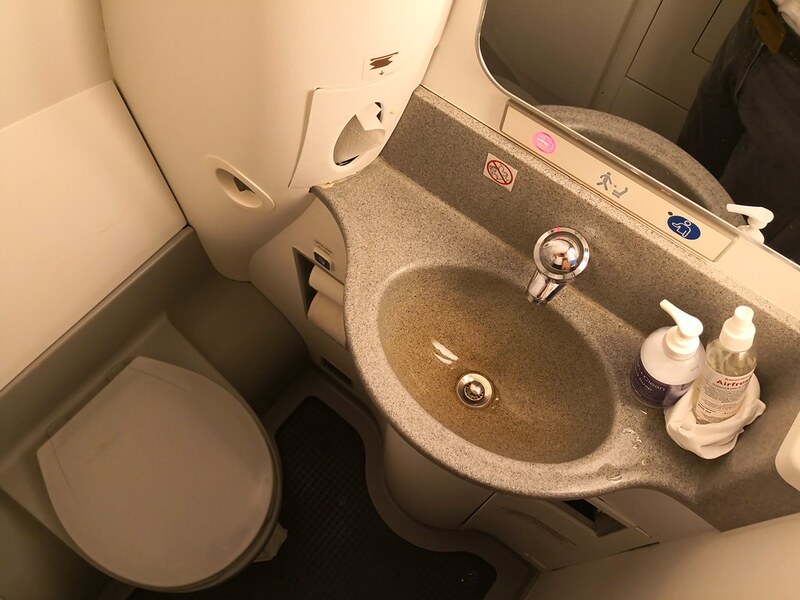 At this time I checked out the lavatory and since the Embraer is a smaller plane than the 737, it really shows in the size of the lavatory. 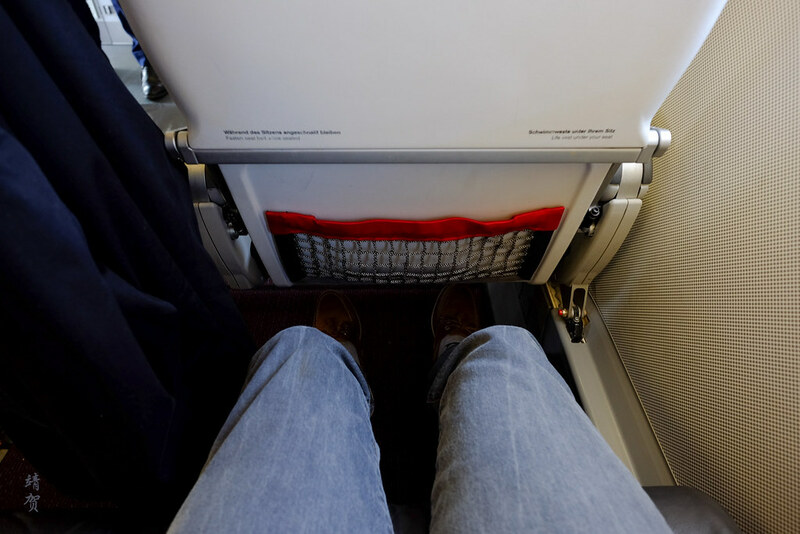 This is perhaps one of the drawbacks of flying these smaller regional jets. 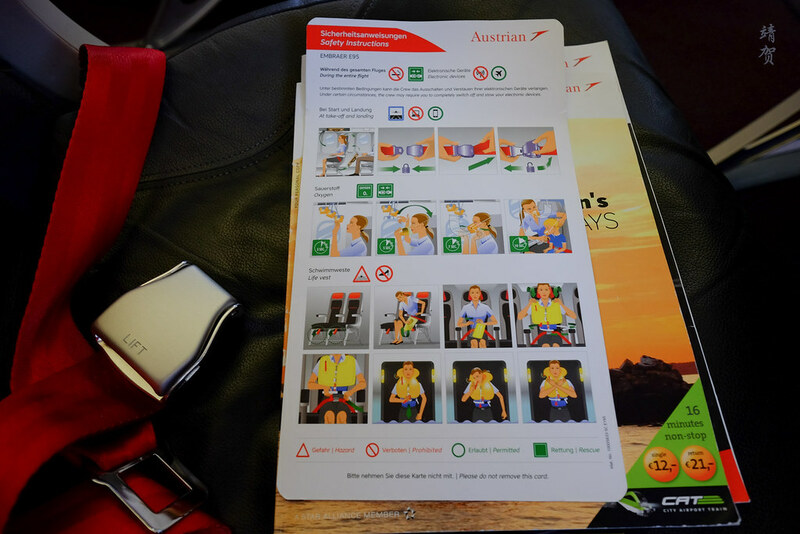 Inside Austrian’s lavatory, it was spartan and the only amenity was a hand soap and an air freshener. 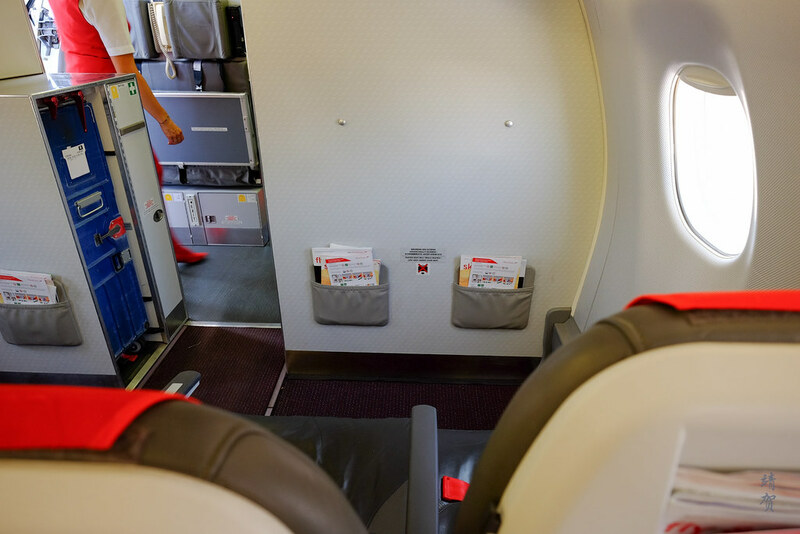 Back in the cabin, I tried out the bulkhead seats and found them not that much difference than the standard seats and for short flights like this, I would not mind either seats. 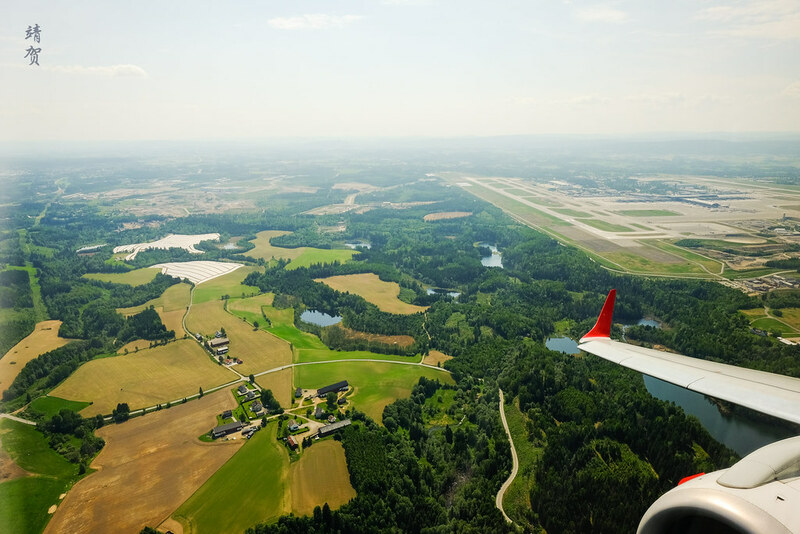 Due to the good weather, the flight was early in its descent and a direct flight path meant we actually landed early. 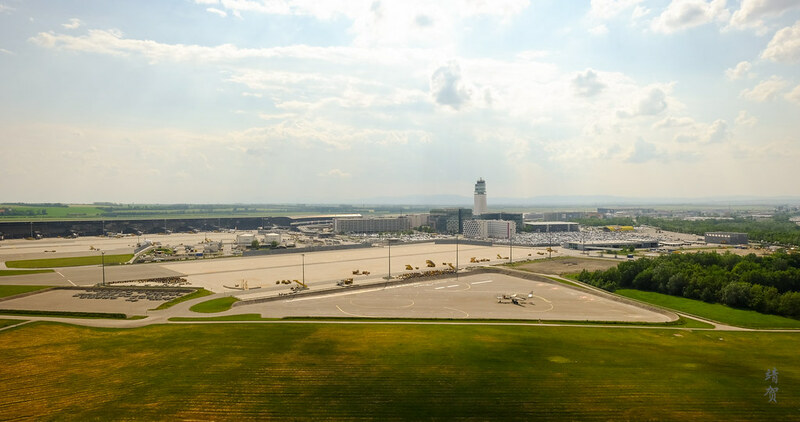 Clear weather at Vienna meant the views were good as well which kept me occupied in this otherwise boring commuter flight. 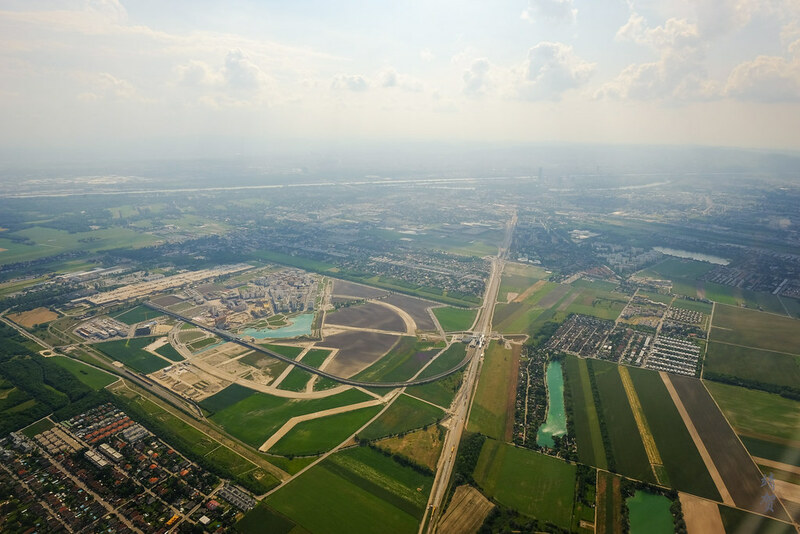 As a treat, there was some nice views of the airport and nearby new towns during our final approach. 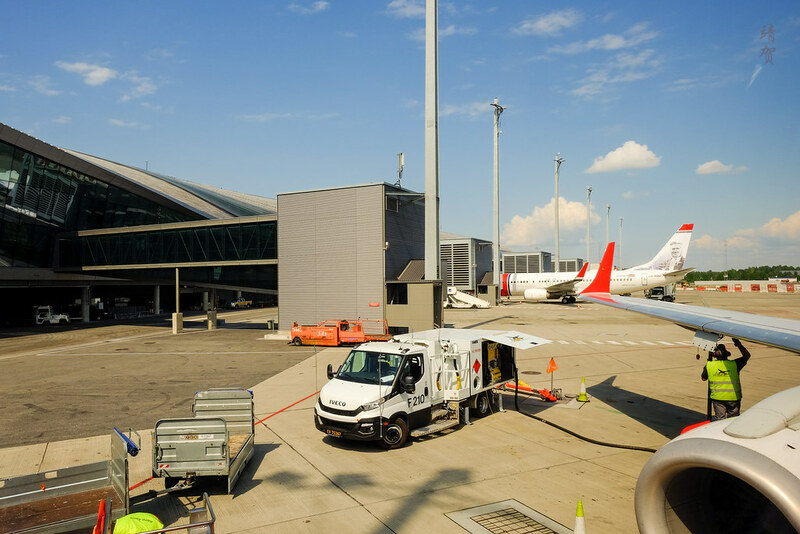 However, the plane was docked at a remote stand with all the other small regional jets and all alighting passengers were packed into one bus for the ride into the terminal. While not a large airport, this meant Business Class passengers had to wait for everyone to disembark since we are all on the same bus. As a tourist on transit with my next flight still sometime later, I was able to use the time to take photos of the plane but I can certainly see business travellers and those rushing to make their connections feel frustrated with the wait. Another downside to flying with these small jets are the slight instability during landing and takeoff. While the weather on both departure and arrival was fine, there can definitely be more shaking in the cabin if there are strong winds. 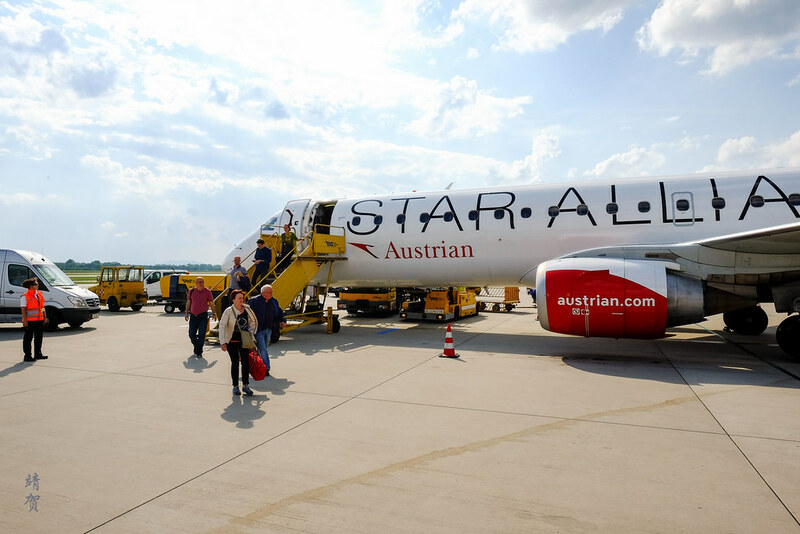 Even though this was a perfectly fine flight with one of the best inflight meals I had flying within Europe, I cannot say I recommend taking Austrian Airlines due to their small planes fleet which means you would most probably transit with plenty of boarding and disembarking by stairs in Vienna airport.